It's Fire Prevention Week! In preparation, our daughter's preschool class was already singing songs and making fire safety crafts. 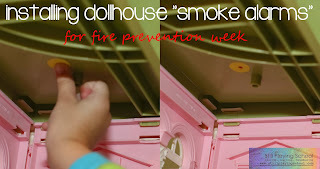 We reviewed what she's learned with Doll House Fire Safety Practice at home! "What do you do if your clothes catch on fire?" Without skipping a beat, our preschooler E replied, "Put them in the washing machine!" While it was a bit funny, I knew it was time to do a homeschool preschool lesson on fire safety, too. E is afraid of anything hot right now (lava, the oven, fire) so I wanted a truthful, thorough, yet engaging lesson to reinforce what she was working on at her traditional preschool. 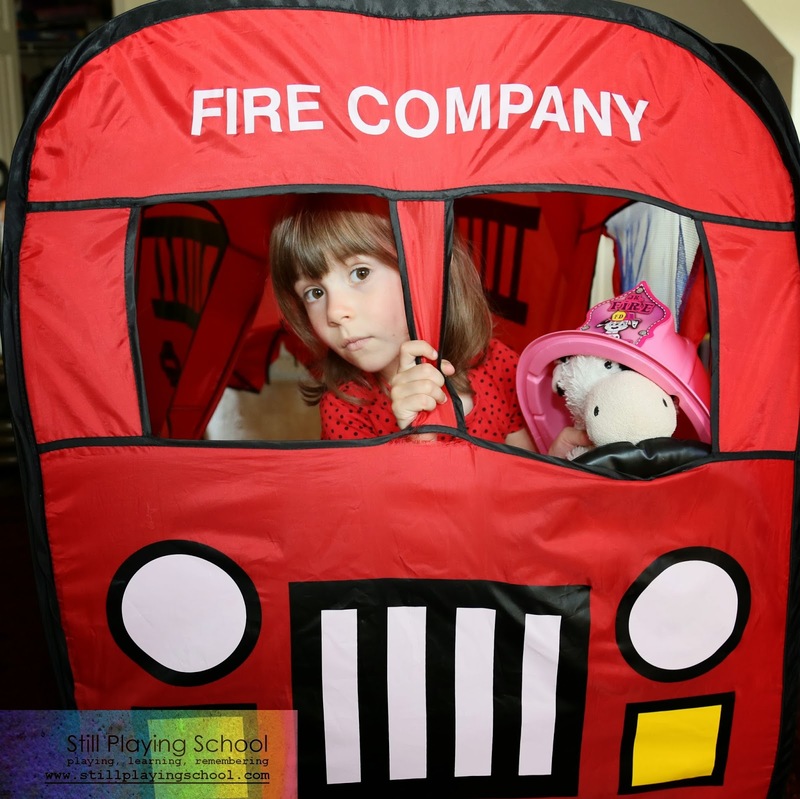 She came home from school to find Cowie driving a fire truck while wearing a pink fire helmet! We drew red battery lights on some round dot labels to install smoke alarms in her dollhouse. 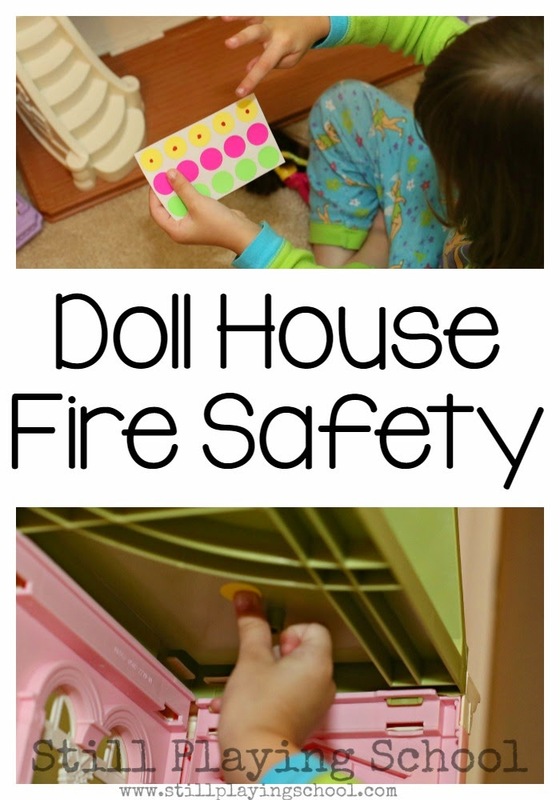 We discussed where the dolls should place the alarms (one on each floor, making sure there was one near the stove) and how to check the batteries. 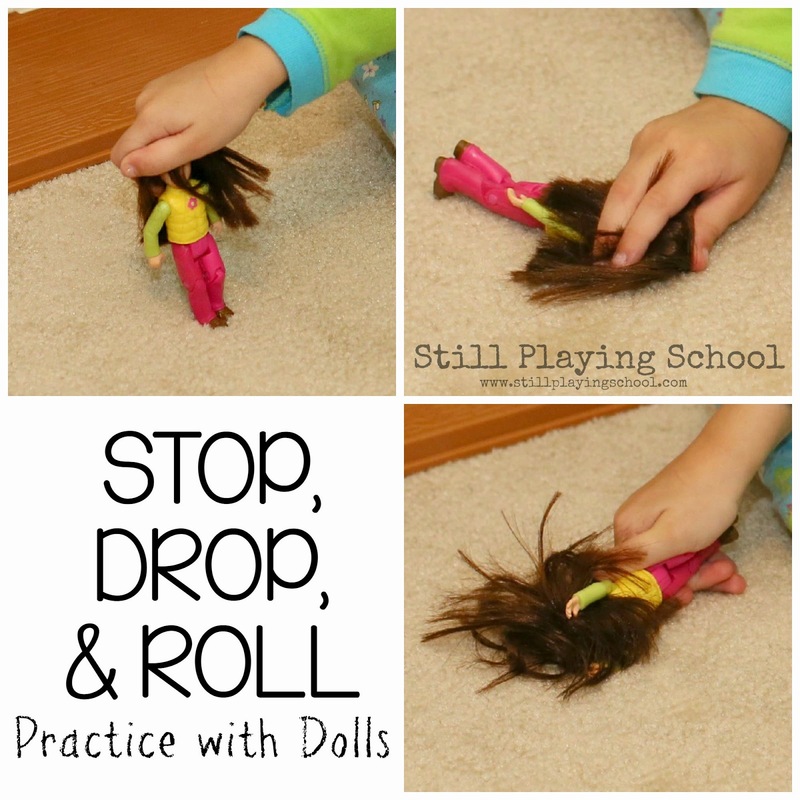 She practiced "Stop, drop, and roll," with her dolls. She paused in the middle to make sure the E doll was covering her face! After her dolls plan a meet up place for their fire drill evacuation we'll discuss our family's meeting place, too! What are you doing for fire prevention week? 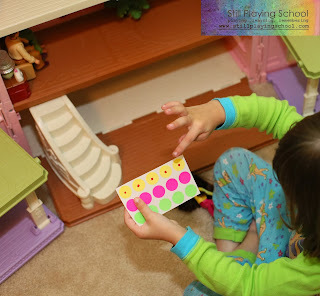 What a great idea to practice with a doll house! Thanks for sharing this! 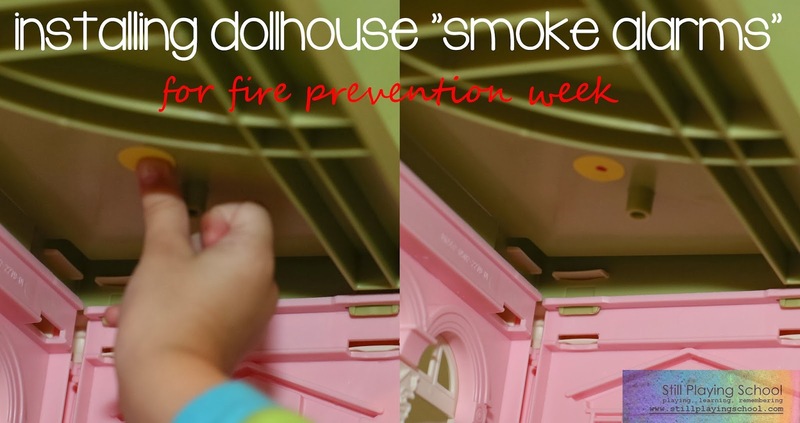 This is a great way to teach fire prevention, which is so important. Just pinned the post. We focused on fire prevention/fire safety as well recently incorporating it into our letter F activities. I shared a bit about that as well as some tips from a firefighter on my blog recently: http://jennifischer.blogspot.com/2013/10/fire-prevention-week-fire-safety-tips.html.